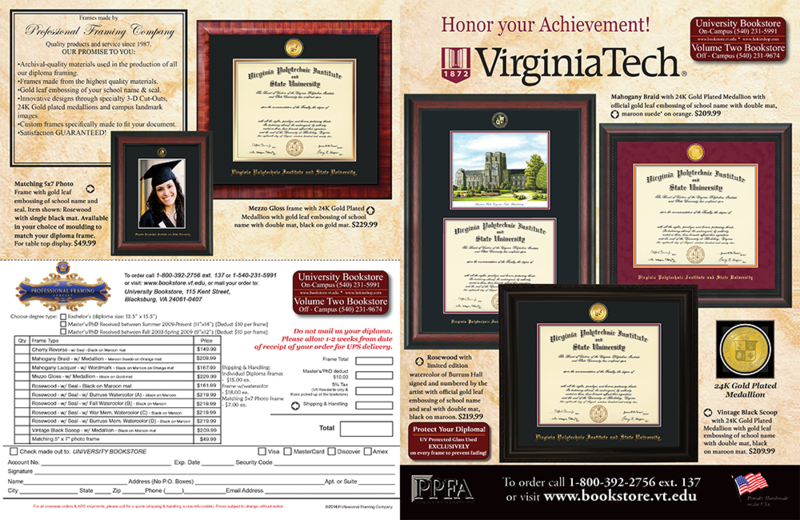 I created this brochure for a client marketing diploma frames to recent Virginia Tech graduates. I also walked the brochure through the printing process. I also built this in Photoshop at the client’s request. turnaround time from design to print production was one week. I did not write the content on this project. I was responsible for the design work and print.